Nišville presents: The Manhattan Transfer! 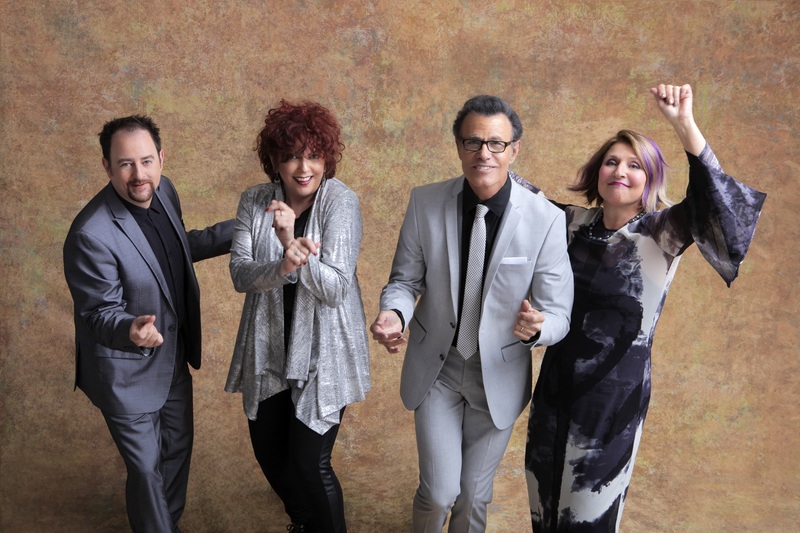 The most impactful and the most popular jazz vocal group of all times – The Manhattan Transfer – will make their debut in any of the countries that made up former Yugoslavia on Friday 10 of August, the second day of Nišville 2018. Quartet’s is presently made up of Janis Siegel, Cheryl Bentine, Alan Paul and last but not the least, Trist Curless, who is now a part of the group instead of the founder Tim Hauser, who tragically passed away in 2014. The impressive career of this group, spanning four decades, can be represented most briefly by the following numbers: 29 albums, 10 Grammy awards (20 nominations), the only group which earned 2 Grammy awards in the same year (1981) for best performance in both jazz and pop, and their masterpiece “Vocalese”(1985.) is the second most nominated piece with 19 nominations, after Michael Jacksons’ “Thriller”. In 1998. the group entered “Vocal Group Hall of Fame”, and besides the incredible vocal performance their concerts are always guaranteed to have an amazing show for everyone whether a jazz fan or no. Long time music director of the group is pianist Yaron Gershovsky. The history of “The Manhattan Transfer” starts with its predecessor, “doo-wop” which was founded in 1969. by Tim Hauser, a group which successfully produced an album called “Jukin”, but when they were denied by Capitol for their second album, the group disbanded. In spite of this, Tim Hauser wouldn’t give up doing what he was passionate about, and so, while he was working as a part time taxi driver, he met a fan of his past project, the singer Laurel Masse. He would later meet Janis Siegel at a party, she would help them with demo recordings only to become a full member of the trio soon after. The, then, boyfriend of Laurel Masse, Roy Markowitz(a musician who would perform with the likes of Janis Joplin) would introduce them to Alan Paul, and the rest, as they say, is history. They started actively performing in 1974., and by the end of that year they would become New York’s next hottest live group! Their first album will carry the groups name. “The Manhattan Transfer”(the album) was released in 1975. and it led to the groups amazing vocals and original interpretations of popular being recognized by the public as well as professional critics, and their interpretation of the “Operator” gospel would lead to them being included in Billboard’s top 20 list. Starting from their first album they would invite renown jazz instrumentalists(Randy Becker, Jon Fadis, Zoot Sims) to cooperate on the albums with them. The next milestone for the group was when they made a cover of “Chanson d’ Amour” which brought them to the top of the list for UK and Australian list of singles, shortly after they would get their own weekly television show on CBS. Due an unfortunate accident, in 1978., Laurel Masse leaves the band, with Cheryl Bentyne taking her place, who records a third album for the band on which their signature cover of “Birdland” by “Weather Report”. “Birdland” would get a Grammy for best jazz fusion performance, and Janis Siegel would get one for “Best Vocal Arrangement”. With their next album they would make history, as they receive two simultaneous Grammy awards in the same year for best performances in Jazz (“Until I Met You – Corner Pocket” ) and Pop ( “The Boy From New York City”) categories. After their breakthrough on the mainstream jazz scene the group would continue producing only the best acclaimed albums such as “Vocalese”(which is second only to Michael Jackson’s “Thriller” in the number of nominations for Grammy awards) in 1985., “Brasil”, “Swing”, and legendary singles such as “A (nother) Night in Tunisia” working with many legendary and renowned musicians and groups, coming from many different genres of music. However, sadly, in 2014., Tim Hauser passed away from a heart attack, and since, all the groups projects are a tribute to him. Trist Curless would become a new singer for the group, Trist is also a producer who worked with groups such as “m-pact” and “New York Voices”. Until 2009. album “Chick Corea Songbook”(lead by Chick Corea himself), the group performed with hardly any break, and now after a longer break they come full force again with their new album – “Junction”! Kenny Garrett at Nisville 2018!